boards -- to catch the action. 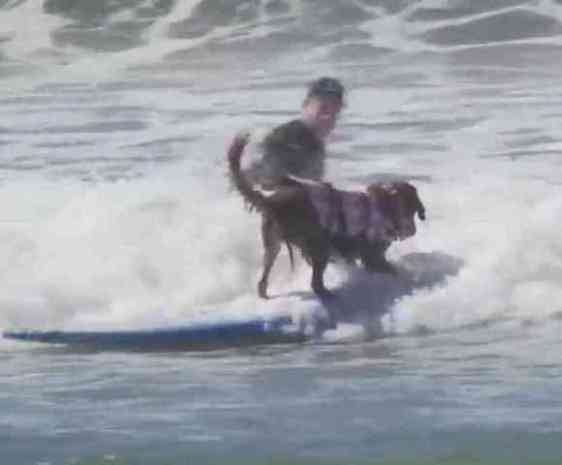 The fifth annual event was totally tubular and a way cool chance for the dogs and their owners to hang ten together for some awesome (though tiny) waves. All of the dogs wore life vests and their humans were nearby to help if needed. The dogs didn't really seem to need help though. 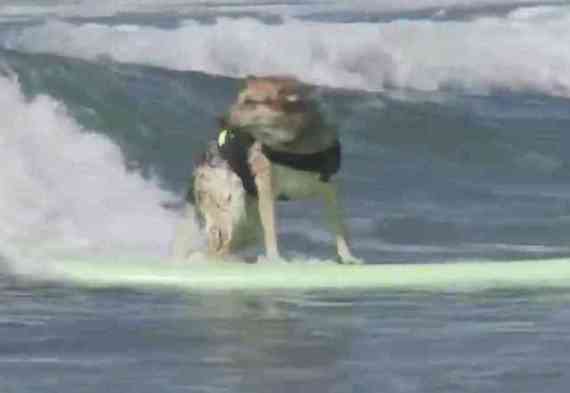 For these canines riding the curl seemed to come naturally. 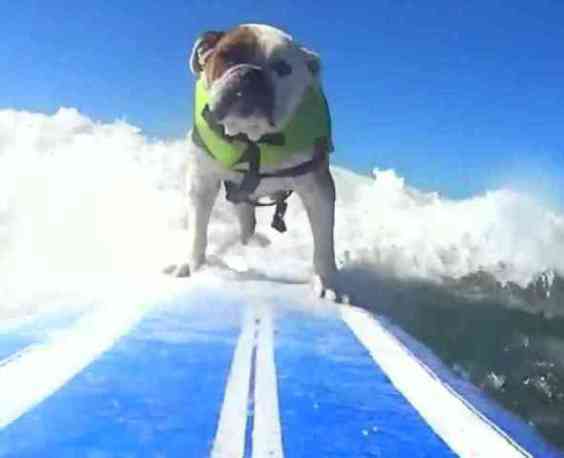 Waterproof cameras were even mounted on the front of the boards so that owners could have close-up video of their pup in action. The dogs were able to compete in a number of events and weight classes. They also showed off their best moves like riding their boards backwards or turning in circles. Occasionally they get clobbered by a wave, but they take it happily in stride with a classic dog paddle. 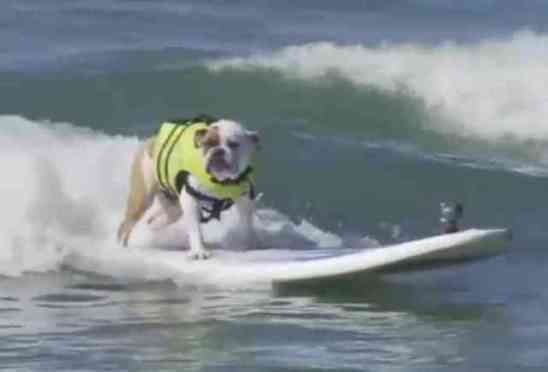 There were also categories where the dogs were allowed to surf with their humans on board and others for the double dog dare. All dogs wore life vests for safety. The event's main sponsor is Surf Dog's Bar and Grill, which would explain why one of the activities listed is Yappy Hour on Friday. Other activities included an Expo and a Costume Contest. Funds raised by the entry fees went to help the local Humane Society and other animal charities in the area. 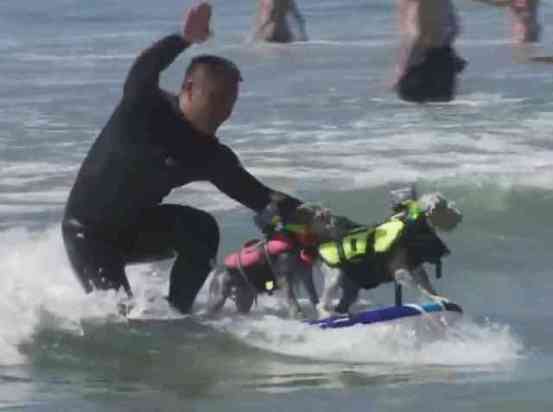 Since the main point of the event, aside from fund raising, was just to have a great excuse to get the dogs and their people out to play in the ocean for the weekend, each of the furry contestants was awarded a PAWticipation Medal for their efforts in the Surf City Surf Dog competition. That way they all have bragging rights when they get to the dog park or the kennel. To know when you and your dog can join in the Sun City Surf Dog competition next year, click here.